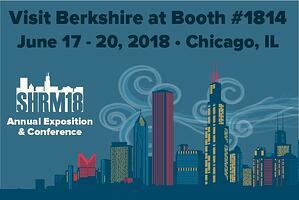 Berkshire’s staff is excited to connect with you in Chicago. Our booth will be filled with great giveaways and tons of helpful tips and tactics to fit your company’s needs—big or small. See you in the windy city! Tuesday, June 19 at 7 a.m.
Tuesday, June 19 at 10:45 a.m.
A full schedule of the event sessions and speakers can be found here.